It was blustery today but colder and we had some brief snow showers poor visibility just when we wanted it as we practiced navigation on our way up to Ciste Mhiread today. 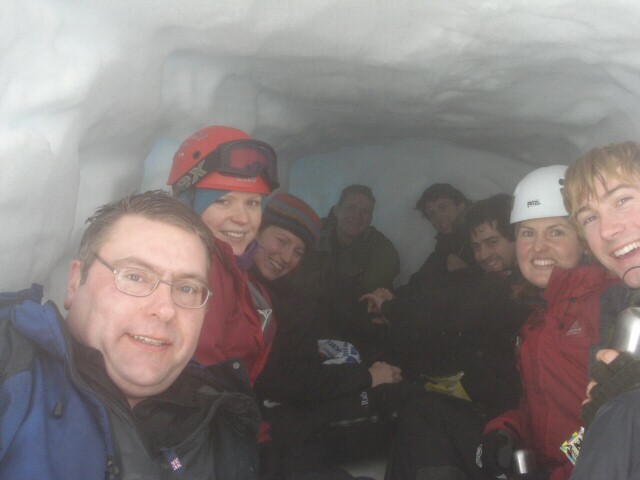 The Talisman winter skills and mountaineering courses again joined together for a day of navigation, snow shelters, climbing up and getting down over cornices and a pleasant lunch in a snowhole big enough for us all. Thanks to Becky for her help again today and for sharing her knowledge with us about glaciers and glaciation.